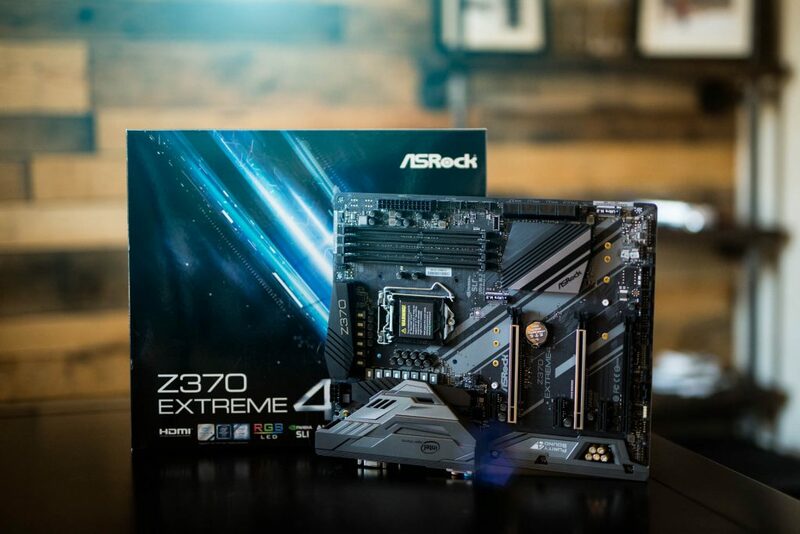 So today we are un-boxing and doing and overview of the ASRock Z320 Extreme motherboard that is going to be used in the N0P0WER computer build. For this build it was really coming down to the Z320 from either ASUS or ASRock. After some careful consideration, the ASRock Z320 was chosen due to how it would fit in the overall build and how it responds to overclocking the CPU and RAM. From all accounts…the ASRock is more overclock friendly and the overall look of the ASRock fits more of the theme build I am going after which is to mimic the look of my CTS-V. The dark matte black with gray accents (versus featuring more gray on the ASUS) was a closer match to what I was going for. The ASRock also checks the latest and greatest we needed for the build including great audio (Purity Sound), USB-C and a massive amount of SATA ports (total of 8). Check out the video above of the unboxing of the ASRock Z320 Extreme4 and subscribe if you like the video. Here are the complete build specs for the upcoming build! !